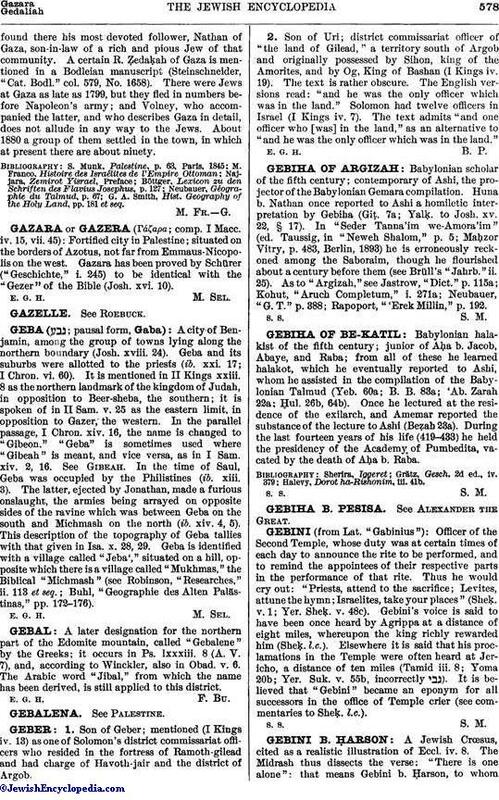 A later designation for the northern part of the Edomite mountain, called "Gebalene" by the Greeks; it occurs in Ps. lxxxiii. 8 (A. V. 7), and, according to Winckler, also in Obad. v. 6. The Arabic word "Jibal," from which the name has been derived, is still applied to this district.